Another day, more stories of districts reporting to families that TNReady scores won’t be back in time to be factored into student grades. I first reported that Williamson County sent word that scores would not be back according to the original timeline. Next, it was MNPS telling parents that TNReady scores won’t be back until June, meaning they won’t be factored into report cards. Now, two more middle Tennessee districts have sent notices about TNReady results not being ready in time. The TNReady materials from CMCSS have been returned to Questar. Tennessee has noted that they will be unable to provide the district with the test results until after the end of May. Based on CMCSS Administrative Policy INS-A023, effective April 17, 2015 in alignment with HB 36 SB 285 Amendment (005744), Clarksville Montgomery County School System will not include students’ state assessment scores in their final spring semester grades if the state assessment scores are not received by the district at least five instructional days before the end of the academic year. As we will not be receiving the scores until the end of May the scores will not be included in students’ grades for this year. The second semester average for elementary and middle will be 50% 3rd 9 weeks and 50% 4th 9 weeks. The second semester grades for high school will be 40% 3rd 9 weeks, 40% 4th 9 weeks, and 20% final exam. The end of a school year always brings about a flurry of activity and excitement, but I wanted to take a moment to update you on report cards for the spring semester. A couple of weeks ago, we announced that report cards would be available, VIA Skyward, on Tuesday May 30th. Unfortunately, it’s unclear whether the district will be able to meet that date, due to a shipping delay that was beyond our control. While our district met all of the required deadlines to ensure that our raw scores would be returned by May 22nd, the state vendor responsible for picking up the completed materials arrived several days later than scheduled. This has affected a number of large districts across the state, including Wilson County. The TN Department of Education is aware of these delays. They’ve assured us that they’re working with the vendor to “find a remedy” for the school districts impacted. Our hope is that a solution WILL be found, and our raw scores will be returned on time. Having said that, we thought it was important to make you aware of what’s happened, in the event that report cards have to be delayed for a week. You may remember, TNReady scores came back later than expected for the fall semester, causing report cards to be delayed. While school districts have the authority to exclude TNReady scores that are returned more than 5 days late, it is the position of Wilson County Schools that the scores be included for this semester, as they were in the fall. This is not a decision that was taken lightly. Many conversations have taken place with teachers and principals about this issue, and the overwhelming consensus is that we include the scores on report cards. Students have worked incredibly hard all year to show of their skills, and we’re eager to see just how well they did! Thank you for remaining patient, as we work through the process. We’ll keep you updated, as we receive additional information from the state. If you have any questions, feel free to submit those to “Let’s Talk” at the following link: http://www.k12insight.com/Lets-Talk/embed.aspx?k=WK9F4DLT. You can also reach out to me directly, using the information below. They provide feedback about students’ academic progress and how it aligns with grade-level expectations, providing parents and teachers a big-picture perspective about how a student is progressing compared to peers across the district and state, including a student’s strengths and growth opportunities. This builds confidence and transparency about students’ readiness for college and the workforce among Tennessee universities and employers and holds us accountable to serving all students fairly. Assessments help educators strengthen instruction and reflect on their practice, and allow us to highlight schools where students are excelling, so we can learn from those who are doing well. State assessments also help inform decisions at the state level and help state and district leaders determine how to allocate resources, better invest in schools, and identify where we may need to offer additional support. All of this sounds pretty important. But, not important enough to get it right. 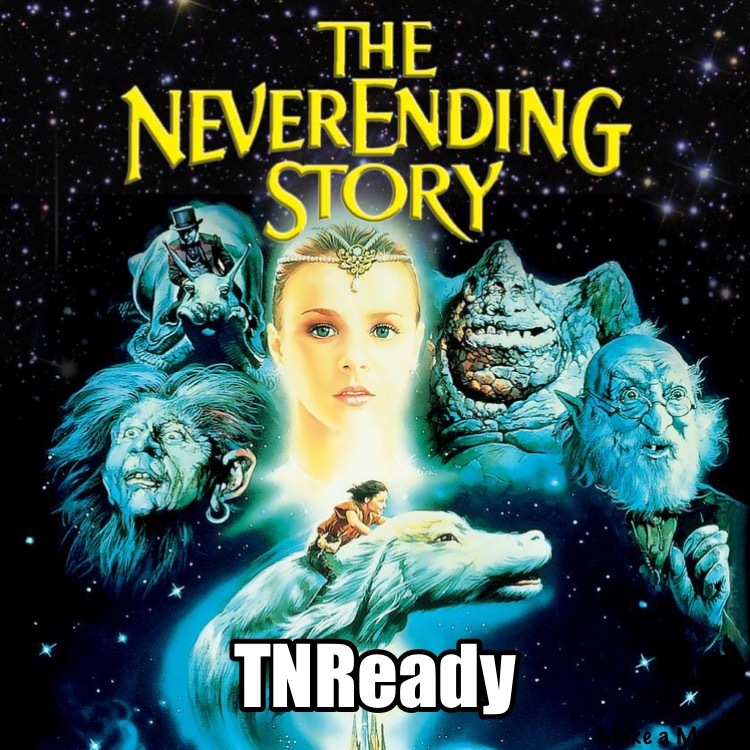 Last year, TNReady was a complete disaster. For the past four years, there have been problems with scores being either not available or not clearly communicated. The cube root method yielded on average a quick score, the score that goes for a grade, of 4.46 points higher. In other words, a student scoring basic with a raw score of 30 or higher would, on average, receive an extra 4.46% on their final quick score grade, which goes on their report card. A student who scored a 70 last year could expect to receive a 74 under the new quick score calculation. The additional points do drop as one goes up the raw score scale, however. For the average basic student grades 3-8 with a raw score between 30 and 47, they would receive an extra 5.41 extra points under the new method. The average proficient student grades 3-8 with a raw score between 48 and 60 would get 4.32 extra points under the new method. The average advanced student grades 3-8 with a raw score of between 61 and 67 would receive an extra 1.97 extra points under the new method. The difference varies much more widely for below basic students, but the difference can be as much as 25 points in some cases. So, for those districts using quick scores in report cards, there could be a wide variance across districts depending on the method chosen. It seems to me, districts should have already communicated to families how they will calculate quick scores with some justification for that choice. Alternatively, the state could have (should have?) mandated a method so that there is score consistency across the state. Of course, since a number of districts now won’t have data back in a timely fashion, there may not be many districts using quick scores at all this year. Here’s the key point: Last year’s TNReady was a debacle. That means this year is really the first year we’ve done TNReady. Instead of jerking districts (and their students) around, the state should have waived use of TNReady scores to evaluate teachers and grade students this year. Doing so would have provided insight into the time it takes to get scores back to districts and allowed for possible changes in administration for next year. Instead, the plan was rushed with a new vendor. Now, we’re where we’ve been year after year: The school year is ending, and there’s a problem with test data. One more thing: Despite this being the first year of a successful administration of a new test and despite the gap in test results — TCAP in 2015, no results in 2016, TNReady in 2017 — the scores from TNReady will still factor into teacher evaluation. A word of caution to districts during the 2017-18 testing cycle: The state’s track record with deadlines and score results is not so great. Maybe when they promise you scores will be ready according to a certain timeline, you should be making plans for that timeline not being met.